We welcome you to the website of the "UK International Arabian Horse Show". The UK’s only ECAHO 'A' Show, and one of only 3 in Europe. On this website you will find all the information you will need for this prestigious event. Whether you choose to join us as an exhibitor or a spectator, we know you will have a fabulous time watching some of the most beautiful horses in the World. The show is held at Addington Manor Equestrian Centre, which is set in 100 acres of beautiful mature parkland in Buckinghamshire, just North of London. A very British setting for a very International show. The magnificent indoor arena is 75m x 35m with a ringside VIP area offering fabulous close-up views. Our VIP packages offer ringside reserved tables and a first floor air-conditioned restaurant overlooking the arena. Please visit the Addington website to see it in its full glory at www.addingtonmanor.co.uk. 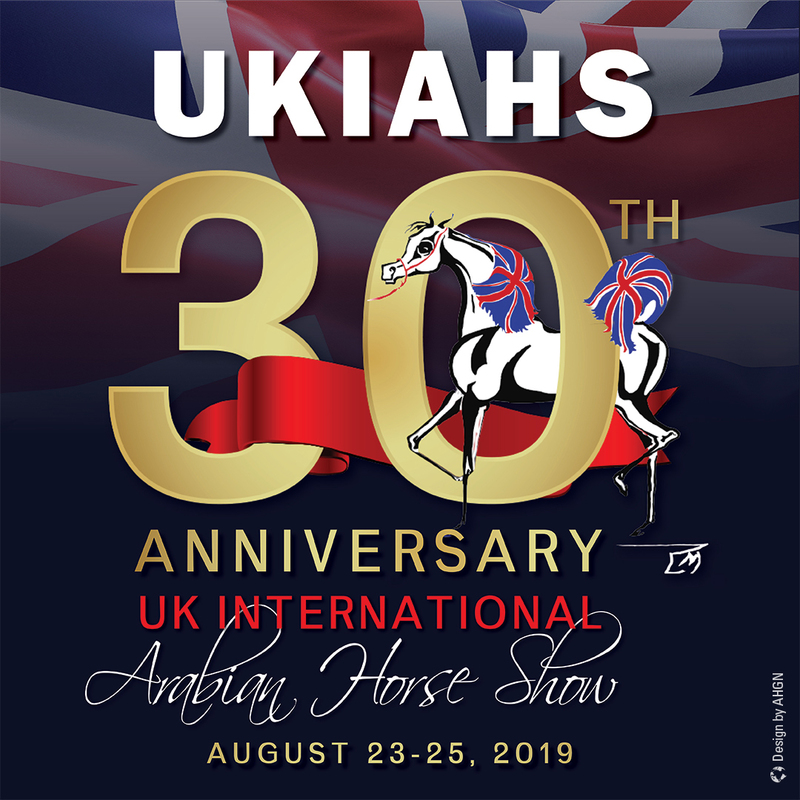 This is the show’s 30th year, and we hope to welcome you the UK to join us at this very special event! The show is held over the weekend of 23 - 25 of August 2019. There are a full range of classes for in-hand Pure Bred Arabians, including Geldings. We are also proud to display some of the best ridden Pure Bred Arabian horses in Europe in the 3 ridden classes held during the show. We also host a Horse of the Year Show (HOYS) 2018 Qualifier for Ridden Stallions, Mares & Geldings, as well as the Grand Finals of the Ridden Arabian Stars Series (RASS).